The Creative Arts Special Theatre Academy (C.A.S.T.) is a pioneering project launched by Rhondda Cynon Taf Council’s Services For Young People as part of the E3+ programme supported by partners in the Council’s Cultural Services which aims to develop pupil behaviour, confidence and learning ability. Last year more than 100 pupils with special educational needs and disabilities engaged in creative and artistic learning opportunities. Each activity was coordinated by professional artists who worked with teachers to create a final production piece which was performed as part of the UNITY Festival in Cardiff Bay. 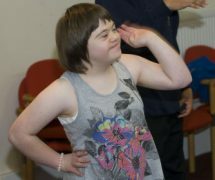 Following such an overwhelming start, the project continues to go from strength to strength and is having a direct and positive effect on the lives of young people with special needs throughout the whole of the County Borough. Cllr Eudine Hanagan, Cabinet Member for Education, Skills and Lifelong Learning said, “This project helps to break down barriers and challenges the traditionally held views about pupils with special needs or low attainment and their ability to progress. ”Our pupils have total ownership and responsibility over this project and developed all manner of personal skills from the prop design and construction, performance, lighting, sound, music, front of house, box office, special effects and animation. “The skills, confidence and sense of achievement that is acquired of being part of such a robust and enthusiastic team of individuals is wonderful for everyone involved and the results are clear for all to see. “Many pupils, particularly those who were extremely under confident and shy or lacking in essential communication skills, visibly blossomed as a result of being part of this initiative. The programme this year has developed significantly with many new and exciting features such as technical theatre and theatrical make up training. 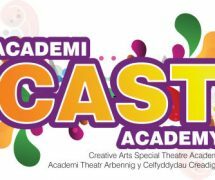 A new cohort of pupils from special schools are working together for the first time and created a brand new name for the project entitled Creative Arts Special Theatre (C.A.S.T.) Academy. C.A.S.T. Academy is also working with schools to ensure pupils are Open College Network accredited and already achieving despite only being in its second year. Pupils work together from different schools and soon realise that experiencing challenges are common place but in the C.A.S.T Academy they are shared and tackled together as a team. This holds the pupils together in unity as opposed to isolation. 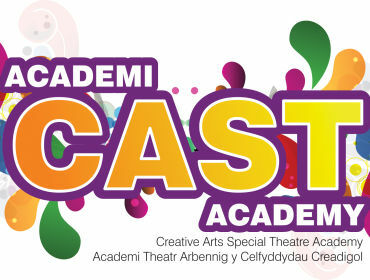 C.A.S.T Academy is currently working towards a final production entitled “The Journey” that will be performed in the Muni Arts Centre in Pontypridd in Summer 2013. This will also be accompanied by the pupil’s exhibition showcasing their work from the academic year.